If you were seriously injured while working as a window washer, you probably have both financial and emotional concerns. How will you pay your medical bills? Can you receive compensation for lost wages while you are recovering? Will your life ever be normal again? What will happen to your family if you can never return to work? You need a financial recovery that compensates you for all of these losses. A lawyer skilled in representing injured workers and handling personal injury claims can help. 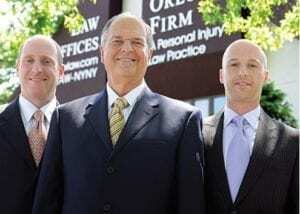 At The Orlow Firm, our Bronx injury attorneys can provide the experienced representation you need. While we do not handle workers’ compensation claims, we can help you file a third-party claim against anyone liable for your injuries, so long as the responsible party is not your employer. Call us today at (646) 647-3398 or contact us online to schedule a free consultation to discuss your case. Can You File a Third-Party Claim? Did you fall from scaffolding that was improperly installed by a contractor or subcontractor? Did you trip on an uneven surface at your work site? Did you suffer an illness due to something at work? Depending on the cause of your work accident or illness, you may be eligible to file a third-party claim against any responsible party, so long as it is not your employer. Our attorneys have handled many third-party claims for injured workers in The Bronx, Manhattan and Brooklyn and throughout New York City. We will thoroughly analyze your case, asking the necessary questions and reviewing the facts to determine whether you can seek personal injury compensation. If you do have a valid claim, you can count on us to fight for your rights in negotiations or in court. For more information about filing a third-party claim, contact the Bronx personal injury lawyers of The Orlow Firm. We offer free initial consultations and have four offices across New York City for your convenience. We can go to you if you cannot come to us.